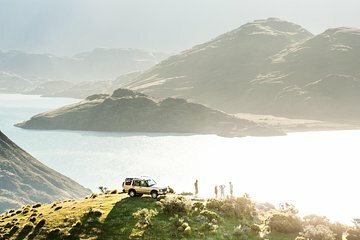 Get far away from the crowds on this 4x4 day trip from Wanaka. Start with a boat ride across Lake Wanaka, then get exclusive access to the Mount Burke Station. Hop aboard the 4x4 vehicle there and drive up into the mountains. Your guide will tell you stories from Otago’s pioneer history and the gold rush era. Enjoy a delicious picnic with spectacular lake and mountain views.